I’d never made truffles before but it turns out that they’re basically just balls of ganache that has been half-set and rolled up and they took all of a few minutes to make (plus setting time). You can basically make them any flavor by adding ingredients to the cream too. Heat cream over medium heat until it begins to simmer then remove from heat, add tea and steep for 5 minutes. Once steeped add in the chopped chocolate, salt, butter, and vanilla. Let the warm cream melt the chocolate completely then mix until smooth and glossy. Cover the ganache and cool in the fridge for 1-2 hours. Use a spoon and your hands to roll the ganache into spheres. 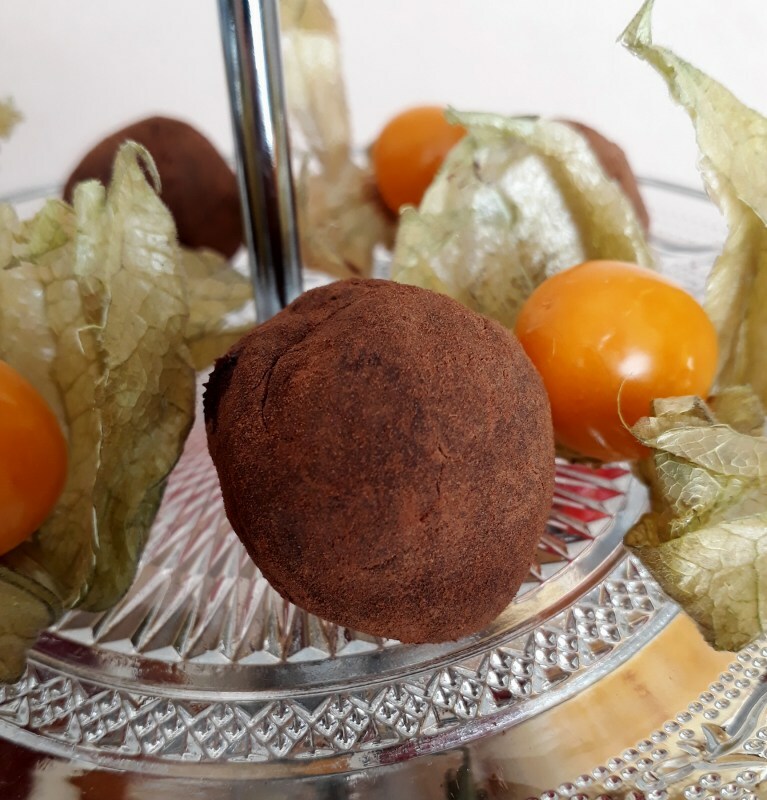 Place the cocoa powder in a bowl and roll each truffle in cocoa.